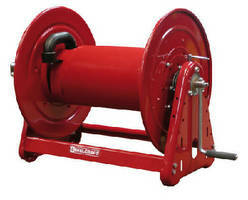 Constructed of steel and rated up to 5,000 psi, hand-crank Series 30000 is designed to accommodate up to 450 ft of 3/8 in. 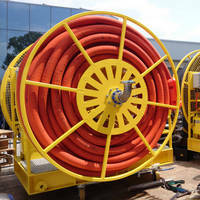 ID hose or 325 ft of Ã‚-½ in. 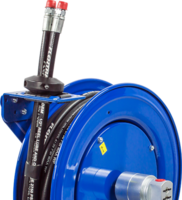 ID hose. 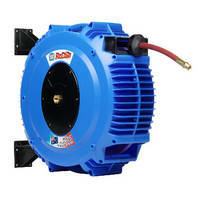 Heavy-duty pressure wash hose reel comes equipped with high-pressure water swivel for maximum product delivery. 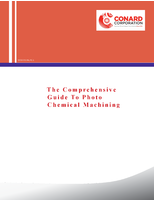 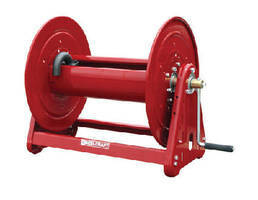 Unit is suitable forÃ‚Â agricultural/marine, equipment cleaning, and pressure washing applications. 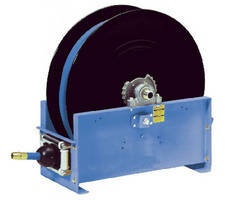 Air/Water Reels suit road and rail construction. 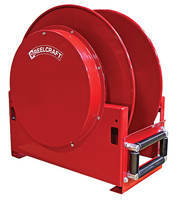 Heavy Duty Hose Reels feature hand crank design.